You probably haven’t heard of it. Are you headed to Hollywood Hack Day this weekend? Well, you should be. It’s at the io/LA co-work space I started working out of recently. I’ll be there pitching the SoundCloud API, hacking something rad, and showing you how to work the coffee maker. With that in mind, I thought I would share the development stack I’ve been hacking on lately. It’s a lean, mean, cross-browser friendly dev machine. It also utilizes some fairly new templating and styling languages, so my co-workers have dubbed it the hipster stack . In my defense, I did use this exact stack to develop Stratus 2 and the upcoming update to Premiere . Also, I’m not a hipster. I’m Cajun . Before we can become hipsters, we’ll need to get a basic Node app running. If you don’t know what Node is, I’d suggest checking out this introduction. I use it in combination with the web development framework Express to create a light-weight server and configure all my hip middleware. My core server file typically looks something like this. Colons, and semi-colons, and brackets. Oh, why? Yes, it will still compile  into the first example, but doesn’t that look a little nicer? If you said yes, you may proceed. is converted to this <div id="hipster">stack</div>. However, I’d have to say my favorite feature is Includes. This allows you to include other static files containing jade, html, or css right into your templates. I like to use it for my header and footer files. As long as those two static html files are stored in the appropriate directory relative to the calling Jade file (in this case, the includes folder), they’ll render accordingly. This helps keep my templating code clean and organized. As if things couldn’t get any better, in walks Nib. 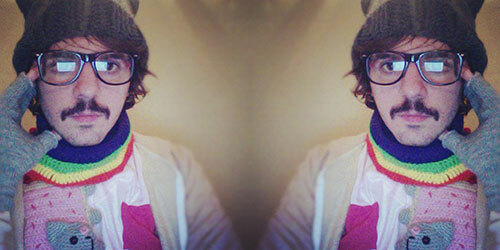 Look, if this is being a hipster and being a hipster is wrong, I don’t want to be right. Pumped? Be sure to check out all of the CSS3 extensions Nib provides. So how do I actually deploy all this stuff? Simple. Git and Heroku. Once you get the hang of it, you’ll never understand how you used FTP in the first place. If you have any questions, feel free to drop me a line on Email or Twitter. So, who’s ready to become a Hipster? I realize that even calling something hipster lowers its hipster-ness, but just bare with me here. Premiere 1.5 is currently in the works. Here’s a blog about the last version. Not that these two things have any connection, but if I was going to be labeled anything. It better be Cajun. I should also note that I compile my CoffeeScript by running the provided coffee command in terminal: coffee -c -w public/js/*.coffee while developing.